Located in the heart of the Mount Albert Shopping Village. We are proud to serve & support the community that we work & live in. New Zealand owned and operated since 1968. Your eyes are the window to your health! 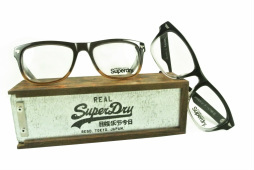 The latest range of SuperDry eyewear is now is stock.SuperDry offer a timeless range of frames that encompasses a vintage yet contemporary feel. Offering the cat’s-eye daisy, half-framed caine and the retro-inspired depp frames you are guaranteed to find a style to suit you! No detail has been overlooked; a choice of bamboo temples, unique front trims and matt zinc finishes add to the sharp style, which puts a stamp on their classic status. created by the company that has made glasses for legends such as John Lennon, Ozzy Osbourne and Stephen Fry as well as fictional icons such as harry potter and Indiana Jones, you will feel like a superstar in your own right with a pair of SuperDry optics.